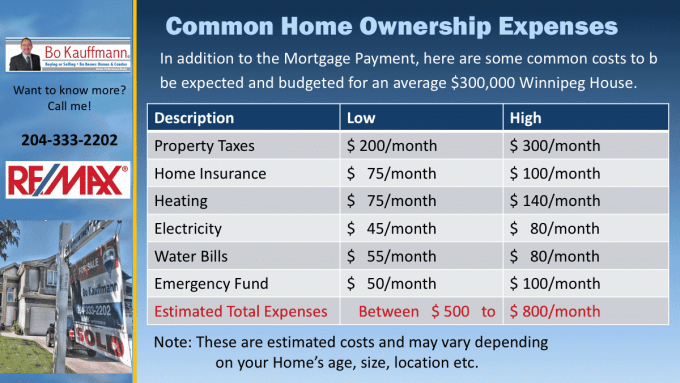 Look at home ownership costs beyond the mortgage payments! How much does it cost to own a home in Winnipeg? Aside from the mortgage payment, how much does it actually cost to own a home in Winnipeg? What are all the costs involved in buying a home? In a house, the owner needs to protect the entire building (and any outbuildings) from a variety of perils. Again depending on the value of those buildings, the insurance will vary, but as a general point of reference, owners should budget between $75 and $100 per month. In a high-rise condo, this will be significantly lower cost to own a home. Combined, the owner should budget for between $120 to $220 a month, approximately. Much depends on the size of the home and family, as well as the quality of the home’s insulation. On average, you should expect bet. $50-$80 per month, again depending on usage. Have a large pie-lot that needs watering? Got 3 teenage boys that take lots of hot showers? Or are you an empty nester with very few watering needs? All these things affect your water bill as a home owner. This is another category which is normally covered by the condo fees, so condo owners already pay for this service. Unless your home is brand new and everything is still under warranty, a home owner is well advised to set aside a small emergency fund. In a condo, this is usually included and called a ‘Reserve Fund’. If you are buying a house, this should be calculated as one of the potential cost to own a home in Winnipeg. What other cost to own a home are there? Furniture and appliances, lawn maintenance, life insurance and other incidentals should be on your budget lists. I hope that this does not discourage you from buying a home, as there are many benefits to home ownership that far outweigh the costs. 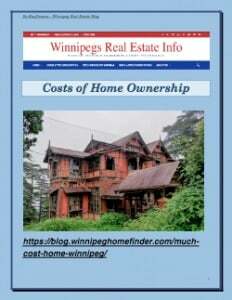 You can download this post by clicking on the image or by clicking Costs of Home Ownership. No Obligation! Unsubscribe Anytime! Your Info Kept Safe! 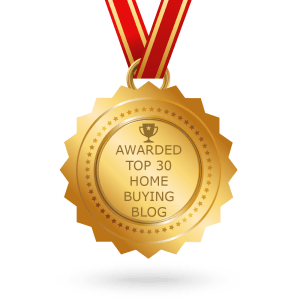 Next articleBest Time To Buy A House In Winnipeg? Very helpful. I appreciate knowing the true cost of home ownership. Bo is very well organized, available and knowledgeable. This was our first time buying a home and he made the process so easy for us. I will absolutely go back to him if we're ever looking to buy again. Bo has been amazing to work with. His knowledge and expertise was paramount in selling my condo quickly in a very difficult market. Bo provides great advice and is always available to respond to questions or requests. Bo was patient and professional throughout the selling process as well as helping us find us our dream home. I highly recommend Bo and will recommend him to friends and family. This is the first time I sold a property. Bo was very professional and efficient. His expertise and advise were invaluable. He kept me updated throughout the process and was very accessible. He even helped with a couple of minor fixes of the property. I would highly recommend him. Knowledgeable, patient, experienced professional, these are but a few of the words I could use to describe Bo. Due to market conditions my condo took longer to sell than I thought it would but Bo was always upbeat and considering new ways to present my home. He is not a yes man who will tell you what you want to hear....he'll give you the straight goods to help you with your decision making process and sell your home.I recommend Bo without reservation. Just recently purchased a condo with Bo as my agent - I chose him because of his support of D'Arcy's ARC, and was not disappointed! He was very friendly and responsive. I had told him I needed to make a decision fairly quickly for a fast June move, and he made himself available the next day any time I needed to meet with him. He followed up on everything he said he would do in a timely manner and was quite organized, so I never had to worry or "chase" him for things and we got it done in record time (from initial meeting to offer submitted and accepted within 5 days, and even got it for under asking with Bo's help on how much to offer).He was very knowledgeable about the condos in the neighbourhoods and price point I was looking at. I felt that he really listened and understood my need-to-haves vs. nice-to-haves during our initial meeting about what I was looking for, and that was reflected in a good list of search results to consider. He was very concerned about future resale potential too, and let me know which condos/features in the search results to avoid as they would be hard to sell down the line.Bo was also not pushy at all, which I appreciated. He never tried to push me above or even right up to my maximum price point. He was pretty honest about the good and bad for every property I inquired about, even one that was his own listing. There was no sugarcoating or trying to get me all emotional about my first home or any tactics like that, we just looked at everything practically and rationally.As a first time buyer, I also felt that he went the extra mile to help me through the purchase process and ensure I really understood everything - he made sure I knew what to expect next and when, and kept in touch during the condo 7 day cooling off period. He also took some time to go through the condo documents together when he dropped them off, and gave me some tips about areas that in his experience had the potential for red flags. I felt a lot more comfortable navigating the whole purchasing process working with Bo.And finally, he has some great connections with other D'Arcy's ARC supporters and got me in touch with referrals for a lawyer, insurance, movers and a painter right away - they were all equally as responsive as Bo and seemed very happy to help me. The painter even agreed to paint on the weekend to meet my fast timeline, and he said it was no problem because he's had a great relationship with Bo for a long time.In the end, I am extremely satisfied - I got fast possession on a turn-key modern condo that met all of my requirements, in one of my top choice neighbourds, with a bonus - underground parking that was on my nice-to-have list, for under asking at a price I'm comfortable with. Bo helped us buy our first home. never any pressure from him, and always has your best interests in mind. very upfront with his knowledge and experience. For a first time home buying experience, Bo's help was very well appreciated and made it so easy! Bo was a great help both before and after the sale. His expertise and knowledge, successfully helped obtain our first house, through numerous bids on our first try, at exactly where we wanted to be in terms of our budget. We can’t thank him enough. Bo was straight forward with us from the beginning, after a long exhausted search with someone else, we decided to switch to Bo, we explained exactly what we needed from a realtor, he understood and more importantly delivered. He asked us what we were comfortable with price wise and not what we were pre approved for, because honestly, we were not even going to go close to that number. He never pressured us to spend more, gave his honest option about the property when we asked, and guided us through the house buying process which started and ended in a few weeks! I would recommend Bo to family and friends and if we are ever in the market for another realtor we will be returning to Bo! 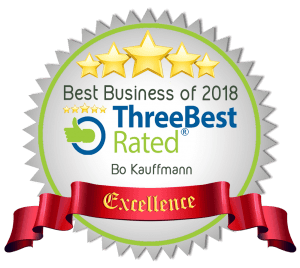 We feel we were very fortunate to have had Bo Kauffmann as our realtor. Prior to meeting with Bo, we had two very experienced realtors tell us our parents' condo was worth less than $300K. Bo was very direct and honest with us that in its current condition those appraisals were likely correct, but he was the only one to suggest that if we invested about $10K in some minor improvements, including flooring and painting, we would likely be able to get $330K for it. True to his word, once those renovations were completed Bo closed the sale of our condo in about two months at exactly $330K. We could easily have lost $30K or more if not for his wise advice and experience and we would highly recommend him to anyone that wants an honest and hardworking realtor. Thank you Bo, we really appreciate everything you did for us!